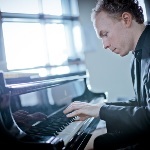 Ralph van Raat is not just a renowned Dutch pianist, but a tireless advocate and practitioner in the field of contemporary piano music and “pianism”. Also active as a musicologist, van Raat is an undisputed “primus inter pares” in the Dutch music world (not just amongst pianists), widely celebrated for his virtuosity, capacity to learn exceedingly complex scores and his formidable feats of memory in performance. He studied with the legendary Ton Hartsuiker and Willem Brons at the Conservatory of Amsterdam, and later with Ursula Oppens at Chicago’s Northwestern University and Pierre-Laurent Aimard at Cologne’s Musikhochschule. He has won many prizes: the Stipend-Prize Darmstadt; First Prize of the International Gaudeamus Interpreters Competition; the VSCD Classical Music Prize and the Fortis MeesPierson Award of the Concertgebouw, Amsterdam. He has performed as a soloist with the Royal Concertgebouw Orchestra, the BBC Philharmonic, the Los Angeles Philharmonic and London Sinfonietta, and with the conductors such as Valery Gergiev, David Robertson and Peter Eötvös. 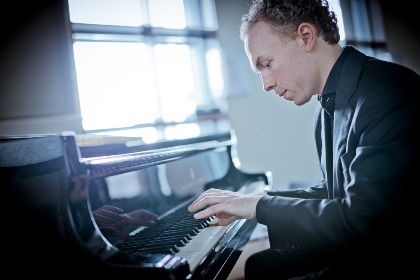 He has had an exclusive contract with Naxos for 10 years, creating a unique catalogue of acclaimed recordings of contemporary piano music.